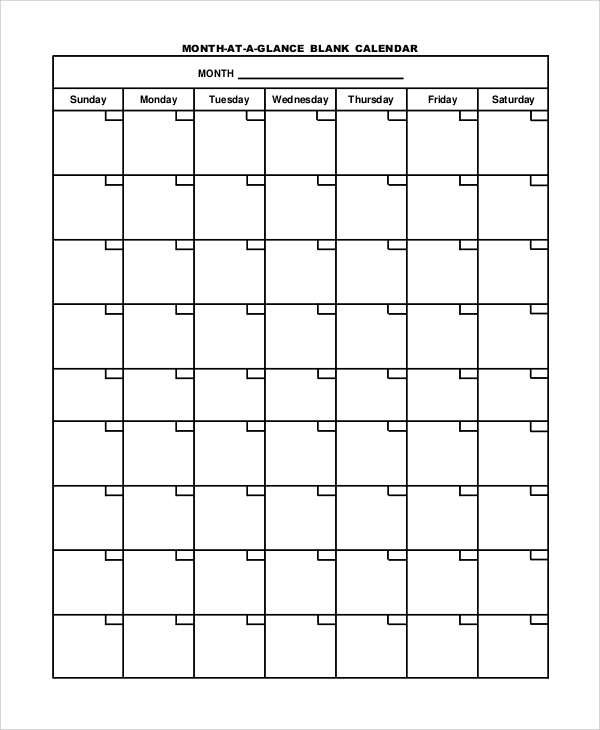 A monthly calendar is an example of a chart that shows the days and weeks in a month. 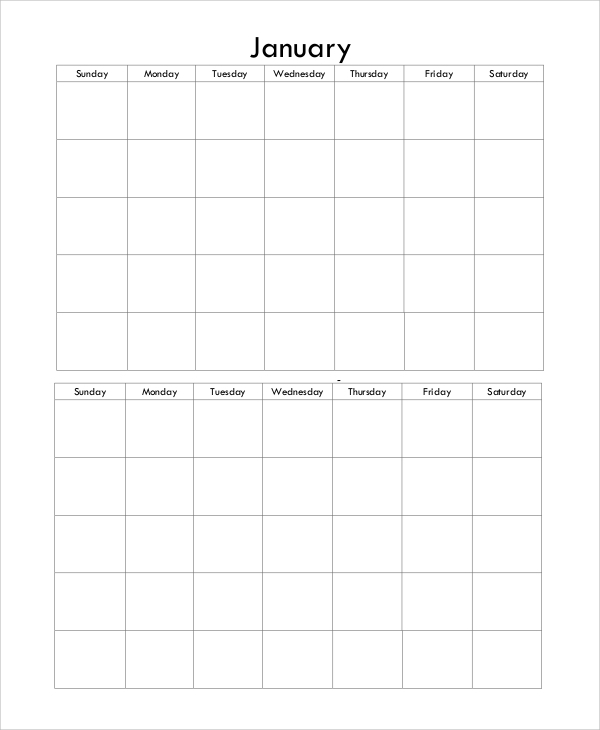 It has a layout that makes it clear to see the days in a week and on how they are plotted within a month period for better viewing of their corresponding dates. 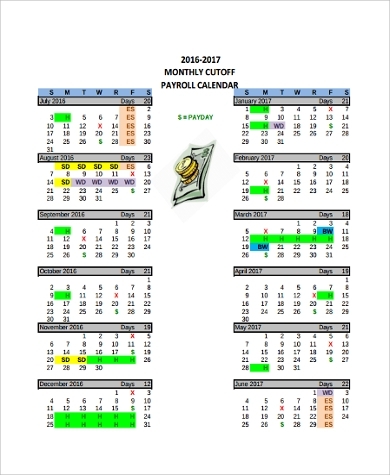 Monthly calendars can also provide information about seasonal information including the forecast of the face of the moon per night, national events, announced holidays, and the type of weather to be expected. 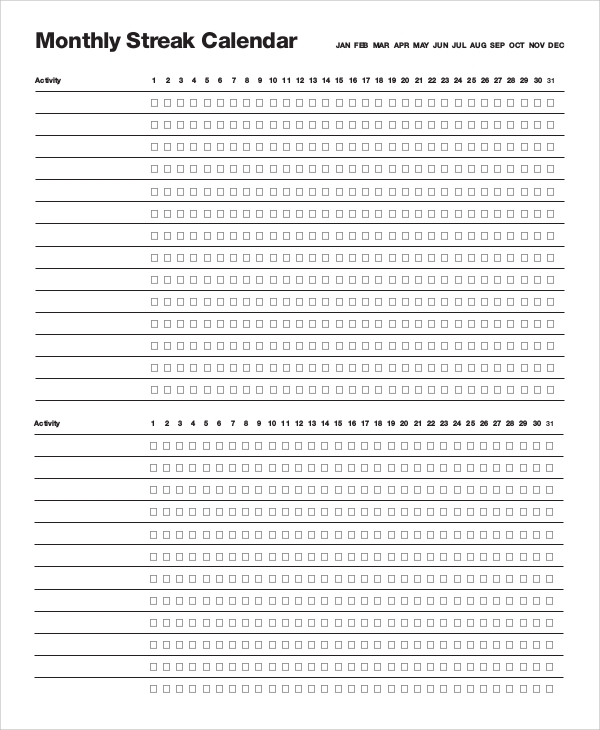 In some instances, some calendars only have the dates, days, and a big blank space where people can write per day. 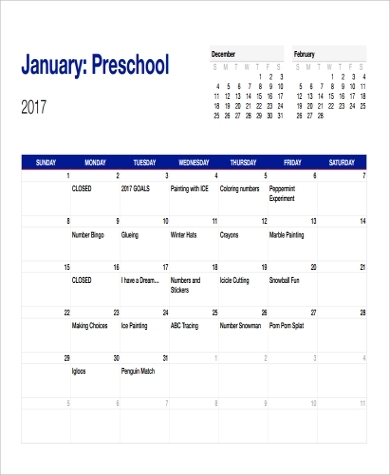 Take a look at our Sample Calendars as you may want to download one of them for your personal use. Tracking of important happenings. When there are a lot of things that are happening in our lives, it is hard to remember all of them. Most often, there are certain celebrations or professional gatherings and meetings that we are not able to attend because we forgot that it is to happen or transpire on that certain date. Writing them in a monthly calendar will help you remember your appointments and promised appearances. Counting days before an event happens. 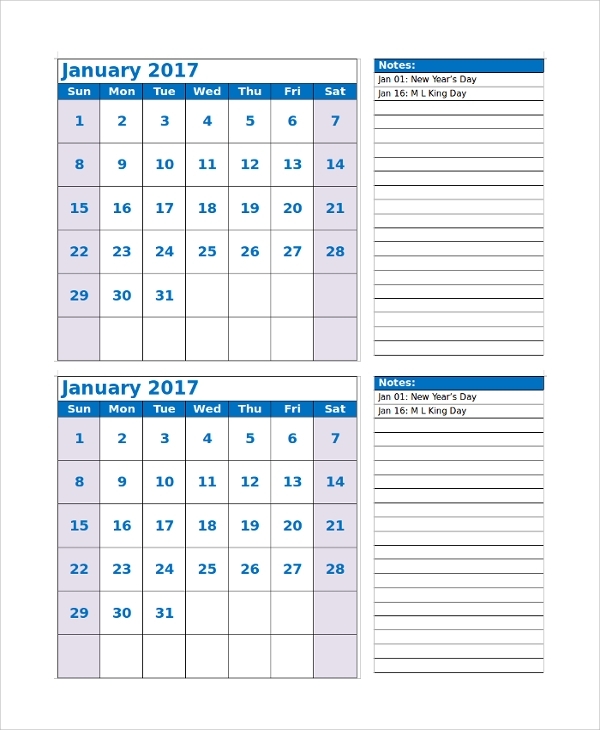 If there is not much happening in a month’s time or if you have a spare calendar to use, you can actually put a special event on the date where it will happen. Then, day by day, you can put an X mark on the dates that have already passed by. It helps you to analyze different items like if you have already earned or saved enough money for the event or you have already bought the clothes that you are to wear. Reference checking. There are events that happen yearly. 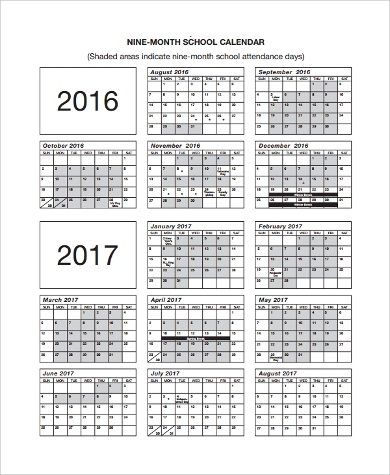 Having a calendar will help you remember them and better prepare for the next year. Also, you may write the birthdays of close friends and relatives so you are sure that you will not forget them. Remembering what have transpired for a period of time. Sometimes, you need to know when you had a meeting with your supervisor. Or, the time when you went to a store to buy something and you eventually need to return it due to a factory defect. Knowing the date of purchase will let you identify if it is still within the scope of warranty. It sure helps to record the things that happen in a day’s time. Checking the date on a specific day or vice versa. 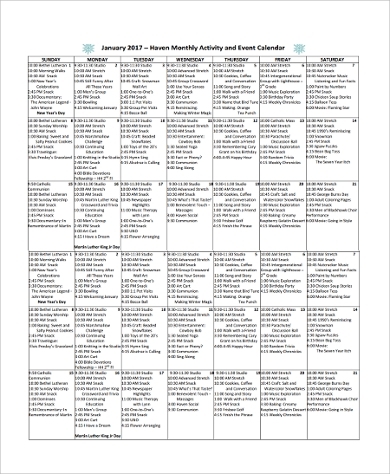 If these uses already helped you to decide in getting your own monthly calendar, we have Free Printable Calendars that might be of use for you. make the most out of its feature. 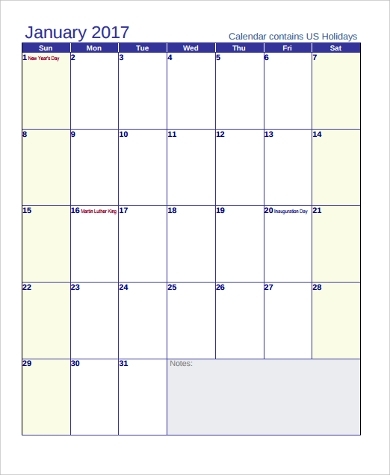 You may use our Blank Monthly Calendar Samples and Printable Monthly Calendars. All of them are downloadable, printable, and easy to use.